Shah Rukh Khan, Katrina Kaif and Anushka Sharma are reuniting on the big screen after six years for Zero — their last film was YRF's Jab Tak Hai Jaan, directed by Yash Chopra. 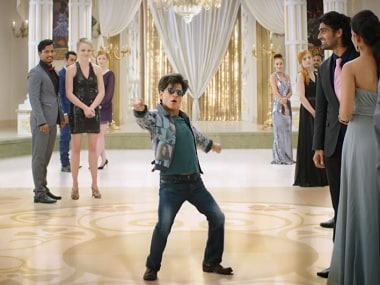 Shah Rukh Khan in Zero. Image from the trailer. We're seeing a Shah Rukh Khan film on the big screen after almost a year and a half — his last film was Imtiaz Ali's Jab Harry Met Sejal. This is the first time a director like Aanand L Rai is working with SRK. So to say the stakes are high with Zero would be an understatement. Charm and Shah Rukh Khan go hand in hand. Even the staunchest of his critics cannot deny he has a unique way of making people smile. In Zero, you will find it hard to stop smiling at SRK's Bauua Singh. This is partly due to his effortless performance, and partly due to Hemanshu Sharma's witty screenplay. The story starts in Meerut, Bauua's home town. Where he lacks in physical form, Bauua makes up for with affability and ambition. He's the city's sweetheart, but has a huge crush on Bollywood actress Babita Kumari (Katrina). He meets Aafia Bhinder (Anushka Sharma) — a differently abled scientist — through a matrimonial portal and slowly, they fall in love. Anushka gives an impassioned performance as Aafia, and kudos to her for picking offbeat roles time and again. Zero is an extremely self-aware film (to the point of being hilarious), at least in the first half, which goes by swimmingly with jokes and heart-warming moments. Bauua's ambition, though, takes him from Meerut to Mumbai, from Aafia to Babita Kumari. In Mumbai, he is introduced to the world of glitz, glamour and heartbreak. The references in this section of Zero are smart and engaging. Credit for this goes to Katrina's whole-hearted performance as an emotionally unstable but ballsy actress. She's sassy, seductive and gives no f*cks, and yet is vulnerable. It's refreshing to see Katrina play a character that isn't an NRI or some other excuse to explain her choppy Hindi. But she rises above her stereotype. Katrina pulls off complex scenes with ease and almost makes you forget you're watching someone who has been criticised for her acting skills throughout her career. This is a side to Katrina that I love. More of this, please. Bauua's ambitious journey eventually takes him from a small town to the stars. Literally. And in more ways than one. But what goes up always comes down. 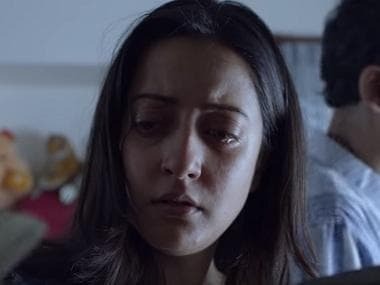 And despite its inherently pleasing quality, spot on performances (special shout out to Tigmanshu Dhulia and Zeeshan Aayub), cameos by several celebrities and chucklesome one-liners, Zero falls prey to the second-half curse. The less I say about the second half, the better, for no words can express the surreal feeling I felt while I watched it. The plot takes many cinematic leaps and liberties, and at some point you are bound to lose track. It's also a very long film that tests your loyalty to its protagonist. 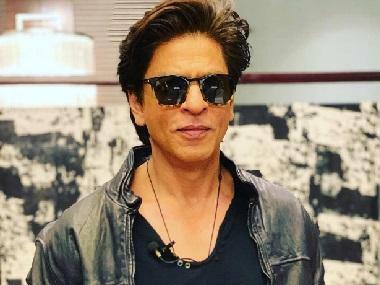 While the VFX in Zero is not seamless, the effort is visible and one must laud Aanand L Rai, Red Chillies and the man himself, Shah Rukh Khan, for executing an ambitious project like Zero. You may or may not like the film, but you will most certainly fall in love with Bauua Singh. This is a first impression review of Zero. Read Anna MM Vetticad's movie review here.